A wall safe is almost always 16 inches wide. This is due to the normal construction of a house puts wooden studs in the wall 16 inches apart. This is how houses have been built for a long time, and once the wood is in place and behind dry wall, it is very difficult to change. With that being said, it leaves people looking to invest into a wall safe in between a rock and a hard place. Unfortunately, 16 inches is not all that big. Some pistols are up to 10 inches long. Meaning over half of the width. So, how do you overcome this? Well, there is no magic formula to it. You just simply have to plan and store your belongings smartly and accordingly. Whenever we get questions from people about how to plan what will be going inside of their wall safe, this is one of the first things we tell them. Truth be told, the best safe to put in your wall should be limited to things like cash, photos, documents and other small pieces. Keep your guns in your firearm safe, as this will allow you to have more organization and more space left over in your wall safe. Wall safes are also not built for quick access. They are a more permanent storage space reserved for stuff that is only needed to be accessed on occasion. If you are like most people that have guns at the ready to protect themselves in their home, then you are going to want quick access to those firearms. If you put your wall safe behind a couch, table or even a bed, this won’t allow you quick access. Rendering your firearms nearly useless should you become victim of a home invasion. This is a crucial part of the buying process. If you blindly click buy on any wall safe, you may run into trouble when it arrives. Underestimating how much space you will need in your safe can be incredibly frustrating, and may leave you with no other option than to spend more money. Figure out what items you want to stored inside of your safe. If anything, this should be the first thing you do when you decide you want to buy a safe. Doing so will allow you to not only get a good idea as to what you have in your home that is valuable enough to the point where you want it securely stored away, but will also allow you to buy the proper sized wall safe. After deciding what you want to store away, stack up the items and see how much room they take up. Make sure the stack of valuables is no more than 14 inches wide. Most safe manufacturers say their safe is 16 inches wide, but in reality you only get about 14 inches of width. Keep that in mind. 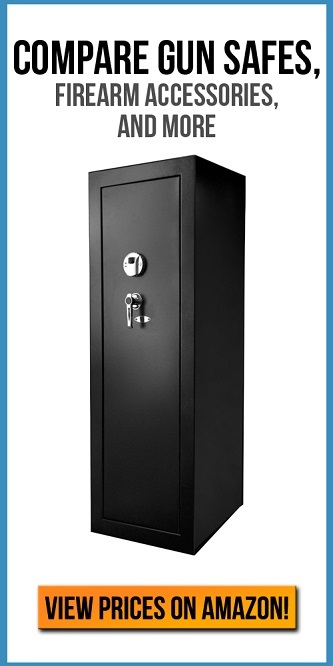 After seeing how much space you will need, you will then be ready to purchase the proper sized safe. Choose wisely and make sure to read reviews.